Basic stitch makes key rings complete in 1.5 hours. Great for gift giving. 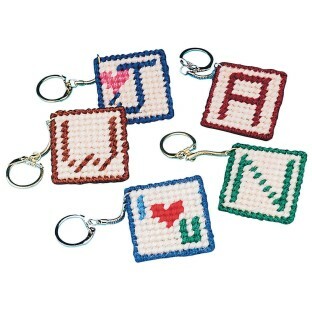 Includes instructions with diagrams, plastic canvas, yarn, key rings and a steel yarn needle. Scissors sold separately. 2" square. Pack of 24.